What’s the best oscillating tool? 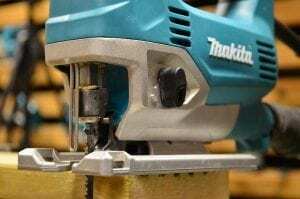 If you find yourself asking that question, it’s probably because you’ve come to realize what an amazing power tool these compact powerhouses truly are. An oscillating multi-tool is one of the most versatile tools you’ll ever come across. Capable of sanding, pounding, making clean flush cuts, chipping away grout, scraping adhesives and paint, and making plunge cuts, these compact tools are perfect for a wide variety of home projects. With a small front-end profile and blades that extend past the edge of the product, it can easily reach into tight places that other tools simply can’t. 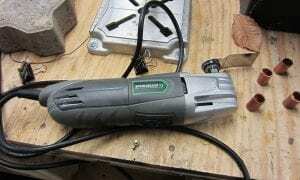 Whether you are an experienced woodworker or a novice DIYer, an oscillation device is one of the greatest, most effective tools that you’ll ever add to your workshop. View the Best Oscillating Tool for the Money, Below. Are Oscillating Tool Blades Interchangeable? Can an Oscillating Tool Cut Metal? What is an Oscillating Tool Used For? But with so many models out there, determining which tool is right for you can be very confusing. Luckily, we’ve done the research, so you don’t have to. We’ve looked at all the models available, comparing features, power, performance, and versatility, and have come up with our list of the 10 best oscillating tools of 2019. The Rockwell Duotech Oscillating Sonicrafter F80 Multi-Tool is one of the most powerful, versatile tools in its class. It's the first power tool of its kind to offer two different angles—5 and 3.4 degrees—allowing you to choose between fast and aggressive or slow and precise cutting action, making it the perfect tool for any project. With 4.2 amps of power and the two angles available. This corded oscillating tool is capable of tackling any project, including cross-cutting, making plunge cuts, ripping, trimming out door jambs or PVC, cutting metal pipe, removing old paint, grinding grout, or sanding any work surface. With an industry-best maximum cutting load of 35 lbs, this powerful tool won’t stall out on you and it can be pushed further than any other model on the market today. And with a variable speed dial, the F80 can deliver speeds from 10,000 to 19,000 oscillations per minute. For added durability, this exceptional 3.3 lb oscillating tool is designed with a Hyperlock, tool-less blade change system that delivers 1 ton of clamping force. And the Sonicrafter’s Universal Fit System allows you to use any blade, even those made by other manufacturers, ensuring that the number of uses you’ll find for this tool are limitless. 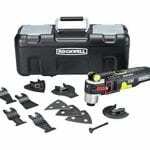 See more information on Rockwell RK5151K 4.2 Amp Sonicrafter F80 Oscillating Multi-Tool. Powerful, durable, and offering loads of versatility, the Rockwell RK5151K is simply one of the best, most reliable and easy-to-use oscillating tools in its class. For over 100 years, PORTER-CABLE has been building high-quality, performance-driven power tools and accessories. The PCE605K52 3-Amp Oscillating Tool is no exception. With exceptional performance, versatility, and a solid build, there’s a reason why this model is one of the most popular tools in its class. With an impressive 3 amp motor and variable speed dial, capable of delivering between 10,000 to 20,000 OPM, this 7.8 lb corded oscillating tool is perfect for numerous applications. Whether your next project involves cutting, sanding, scraping, or grinding, the PCE605K52 delivers enough power and control to tackle any application in a wide variety of materials. This easy-to-use tool comes with a 10 ft power cord, meaning that, in most cases, you won’t have to mess around with extension cords. And with a great tool-free change system, swapping out accessories for your tool is faster and easier than ever. With a removable depth guide, you can easily control the depth of the tool's cuts and, when you don’t need it, it can be removed in seconds. Comfortable to operate, the PCE605K52 Oscillating Tool comes with a 3-position overmold grip that allows the user to hold the tool in the front, middle, or back, offering better stability and precision. See more information on PORTER-CABLE PCE605K52 3-Amp Oscillating Tool Kit. Providing impressive power, reliability, and simple operation, this corded power tool is one of the best buys on the market today. It’s perfect for any home project and with 52 accessories included in the kit, you’re ready to get to work right out of the box. When you see an oscillating tool with a price tag of around $40, it’s only natural to question how well it performs. Don’t let the affordable price mislead you, the Genesis GMT15A is an amazing multi-purpose oscillating tool that can tackle a near-limitless number of applications, including fine sanding, grout or caulk removal, scraping away old paint or vinyl flooring, trimming cabinets, and close-quarter sawing. This versatile corded power tool delivers 1.5 amps of power capable of up to 21,000 OPM, on par with most of its more expensive competitors. With durability in mind, the GMT15A was built with a sturdy die-cast aluminum gear housing that allows this tool to withstand heavy home project use. A 4-pin flange system ensures that accessories are held firmly in place, providing you with added stability and precise operation. See more information on Genesis GMT15A Multi-Purpose Oscillating Tool. At only 3.5 lbs, this affordable oscillating tool is very easy to use and is perfect for a wide variety of home renovation and DIY projects. And with the included sanding pad, sandpaper, scraping blade, and 2 saw blades, it is ready for use right out of the box. Rockwell makes our list of the 10 best oscillating tools of 2019 again with the RK5132K Sonicrafter F30 Multi-Tool. Known for manufacturing durable, versatile hand-held power tools that offer exceptional performance and power, the affordable F30 is one of the best options in its class. Backed by a 3.5 amp motor, the F30 offers 4 degrees of oscillation and is capable of cutting through materials 3x faster than its competitors. And with a variable speed control feature, this oscillating tool lets you adjust the operating velocity for optimal results. Highly versatile, the F30 is the ideal tool for smooth sanding, cutting and trimming, adhesive and paint removal, removing grout, and countless other applications. This oscillating tool is very easy to use and is incredibly durable. Its design features Vibrafree counterweight technology, eliminating unnecessary vibrations for smoother tool performance. Plus, its Hyperlock tool-free clamping system makes swapping out blades easy while offering 1 ton of clamping force, ensuring stability during use. And with the Universal fit system, the RK5132K Oscillating Tool is compatible with any blade, sander, or other accessory on the market. See more information on Rockwell RK5132K Sonicrafter F30 Oscillating Multi-Tool. Versatile, compact, and powerful, the 2.9 lb F30 is the perfect tool for tackling a wide variety of projects. Delivering exceptional performance, it’s one of the best oscillating models you can find on the market today. DEWALT has built a reputation for offering powerful, durable power tools that can withstand years of use. The DWE315K Multi Material Corded Oscillating Tool is no exception to this rule. With a rugged design, exceptional power, and useful features, it’s one of the most popular options in its class. With a powerful 3 amp motor, this corded oscillating tool provides impressive performance and is perfect for a wide variety of projects such as scraping, sanding, cutting, and trimming. Built with a Dual Grip variable speed trigger, the DWE315K provides increased control while allowing you to easily adjust the tool's performance for optimal speed in any given application. A built-in LED light allows you to make accurate cuts in any light condition. And with the Quick Change accessory system, you can quickly swap out the tool's blades and attachments without the use of a wrench. At 3.1 lbs, it’s lightweight enough for prolonged use, but durable enough to take a beating. And thanks to the DEWALT Oscillating Tool Guide System, you can set the depth or height of your cut allowing for perfectly straight lines and consistency. See more information on DEWALT DWE315K Corded Oscillating Tool Kit. Built to last and offering impressive power and performance, the 315K is one of the best models on the market. With added features like the LED light and Tool Guide System, it provides added versatility, delivering faster, cleaner results than many of the other options available on the market today. At just under $60, the Black & Decker BD200MTB Oscillating Tool is a very affordable option that beats out many of the more expensive models available on the market today. With an impressive 2.5 amp motor, this tool can power through almost any application with ease. And the variable speed dial offers 6 settings—from 10,000 to 20,000 OPM—allowing you to obtain optimal performance in any project. The BD200MTB Oscillating Tool is easy to use and is designed to deliver high-quality and efficient results. The tool's comfort grip offers improved handling and precision, while reducing vibrations. And the tool-free blade release feature allows you to quickly swap out accessories with the use of a quick-release lever. With 13 available accessories, you can easily modify this oscillating tool for use in a variety of different projects. Plus, thanks to the welcome addition of a tool adapter, its versatility is further expanded, opening this tool up to an assortment of accessories offered by several other manufacturers as well, increasing its usefulness. See more information on Black & Decker BD200MTB Oscillating Multi-Tool. Built with a simple, comfortable design, this budget-friendly option is simply one of the best buys available in its price range. While many models in this price range might skimp on power and performance, the BD200MTB Oscillating Tool provides enough speed and versatility to make it a great, economic addition to any workshop. The Dremel MM40-05 Multi-Max Oscillating Tool is one of the best precision power tools available today. Sturdy and powerful, it’s perfect for anyone, from the novice do-it-yourself home improvement individual to a seasoned professional. Ideal for a wide variety of tasks, you can use the MM40-05 for a variety of home renovation and repair projects such as grinding, sanding, cutting, grout removal, and scraping. With the highest performance level in its class, the MM40-05 boasts a 3.8 amp motor that is ideal for a wide variety of different applications. While it was designed to only accept attachments made by Dremel, this tool offers quick-lock feature allows you to make quick and easy accessory changes. Combined with a quick-hold magnetic flange, this oscillating tool can grip any attachment firmly, reducing slippage and increasing stability. Designed with a Quick-Boost feature, the MM40-05 is capable of maintaining a constant speed even while tackling the toughest applications and materials, boosting speed and precision. And the added feature of an up-front on/off switch means this tool is perfect for one-handed use and is capable of maintaining speed during operation. See more information on Dremel MM40-05 Multi-Max Oscillating Tool Kit. With an industry-leading motor and a durable design, the MM40-05 will provide years of reliable use. And with special attention to improving stability, comfort, and consistency, it’s one of the best and most popular models available on the market today. Bosch is known for high-quality, powerful tools and they made our list of the 10 best oscillating tools of 2019 with the Bosch MX30EC-31 Multi-X. This 4 lb corded oscillating tool is one of the best performers around and was designed so that even a beginner can achieve consistent, quality results. With a 3 amp motor backed by Constant Response circuitry, the MX30EC-31 offers impressive power and is capable of maintaining speed under load. And for optimal results, a variable speed dial allows you to match the speed of the oscillating tool to whatever application or material you're working on. Designed with a slim-line grip, the MX30EC-31 features several soft grip areas, offering you increased control, comfort, and stability regardless of your intended project. And with a sturdy tool-less accessory change lever, you can easily attach or reposition your oscillating accessories in 12 positions. Add all that to an easy-to-use on/off switch that eliminates the need to hold down the trigger, and you have a very versatile oscillating tool in your hands. See more information on Bosch MX30EC-31 Multi-X 3.0 Amp Oscillating Tool. Easy to use, reliable, and capable of delivering exception results, the Bosch MX30EC-31 can withstand years of heavy use. Offering impressive power and the ability to maintain speeds under load, it’s one of the best models available in its class. The Makita TM3010CX1 Multi-Tool is one of the best performers available on the market today. Makita is known for selling durable, high performing power tools and this entry to our list is no exception. With solid construction, it’s capable of withstanding years of heavy use. And with an impressive motor and some very useful features, it’s perfect for tackling a wide variety of applications. The TM3010CX1 runs on a powerful 3 amp oscillating motor that comes with a soft start feature, offering smooth start-ups and improved performance in a variety of projects including cutting, sanding, scraping, and grout removal. A variable speed control dial lets you match the operating speed to your application and ranges from 6,000 to 20,000 OPM. And with a 3.2 degree oscillation angle, it was engineered to offer faster cutting and sanding. Built with electronic speed control, this model can maintain speed under load, delivering smoother, more consistent results. Plus, it was designed to minimize vibration and noise, making it a reliable, and quieter, alternative to many of the other models out there. With a small diameter barrel grip, it offers superior handling and comfort. And its on/off slide switch was designed with a lock-on feature, allowing you to focus on precision during prolonged use. See more information on Makita TM3010CX1 Multi-Tool . Easy to operate, the TM3010CXI comes with an easy tool removal feature offering 12 tightening settings for increased grip and stability. And to increase versatility, it comes with an adapter that will allow you to use most of the accessories offered by other leading brands. The Dremel MM20-07 Multi-Max is the company’s affordable entry to their OMT line, providing exceptional performance and power in an economical, well-designed package. Built with durable materials and designed for easy handling, it’s one of the best options for anyone on a budget. With a 2.3 amp motor, this 3.8 lb oscillating power tool is just as powerful as many of its pricier competitors. Capable of variable oscillating speeds between 10,000 to 21,000 OPM, it’s ready to tackle a wide variety of materials and applications. Designed in an all-black housing to differentiate itself from its more expensive siblings, the MM30 and MM40, it was built with an easy on/off switch that maintains your previous speed setting allowing for improved ease-of-use. The tool kit comes with 6 different Universal quick fit accessories. You can quickly swap out these accessories without having to remove the clamping screw. And it’s compatible with several universal accessories supplied by other manufacturers, further increasing its versatility. See more information on Dremel MM20-07 Oscillating Tool Kit. While this model is heavy, it’s compact enough to get into places that some other bulkier models just can’t reach and, more importantly, it's capable of delivering solid power and performance. The MM20-07 is one of the best budget-friendly options on the market today. These tools get their name from their side-to-side movement. The motion is slight, usually between 3 to 5 degrees, and incredibly fast, with most models offering up to 20,000 strokes per minute. When operated, the movement is so swift that it feels like a vibration rather than a sawing motion. Capable of accepting a variety of attachments, they can be used in various applications, hence the nickname “multi-tool”. The accessory of your choice is fitted into the product thanks to a locking mechanism. Most models now offer quick, tool-free mechanisms that allow you to swiftly replace accessories with minimal hassle. Once it’s locked in, the rapid back-and-forth oscillation movement creates the friction required for sanding (click here for our belt sanding review), cutting, and grinding applications. There’s a reason why some people call the oscillation device the Swiss Army Knife of hand-held power tools. With an assortment of optional blades, scrapers, and other attachments, these versatile tools are one of the finest options available for tackling various projects and applications. While there are countless blades and accessories available, the thing you need to keep in mind is your particular tool’s ability to accept all of these options. These tools are designed with arbors which allow the accessory to be locked in place and perform the oscillation movement needed for performance. Some manufacturers use their own, unique arbor. This means that while there is going to be a wide variety of attachments to choose from, they’re only compatible with that accessory that is manufactured by that specific brand. Other brands like Rockwell, Craftsman, and Dremel offer some models designed with universal arbors that can accept almost any attachment available on the market. The good news is that whether you have an OMT with a proprietary or universal arbor, each manufacturer offers a wide array of tools to boost versatility. Every manufacturer offers wood and metal cutting blades, sanding pads, sandpaper, rasping, scraping, grouting, and polishing accessories that open your product up to limitless uses. Oscillation tools work by vibrating back and forth so quickly that your eyes probably can’t track the motion. With variable speed dials, they allow you to fine-tune the performance so you can choose a faster speed for thin metal sheets or a slower motion for thick, copper pipes. In order to achieve optimal performance, you simply need to purchase an appropriate blade that’s designed for the task that you are about to take on. 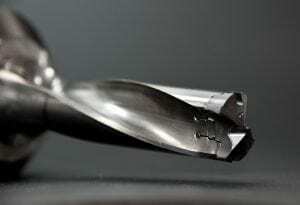 The top blade for cutting metal is a metal cutting carbide-tipped blade. These blades are now much more affordable than they used to be and they are designed to withstand the heat and pressure involved in cutting through metal. Capable of lasting far longer than tradition stainless steel blades, the carbide-tipped blade is the preferred option for metal work and will make quick cuts in any metal cutting application. You might be wondering which product is the most convenient option for you—an oscillating tool or a jigsaw. Both are incredibly versatile power tools. But since they operate in different ways, each is most suited for different kinds of projects and applications. Deciding which is better really comes down to how you’re planning on using it. Jigsaws are compact, hand-held power tools that are great for various applications (click here the full guide). They create a rapid back-and-forth sawing motion that allows the blade to quickly cut through the material of your choice. With various special blades available, the jig saw easily can cut through almost any material such as wood, metal, plastic, aluminum, and tile. One of the greatest benefits that jigsaws provide is the ability to make smooth, curved cuts or make plunge cuts that allow you to make cutouts in the middle of your workpiece. While very versatile, jigsaws are limited in function. Sure, they can make clean, precise cuts in a variety of materials, making them infinitely useful. But since these tools are designed only for cutting, they lack some of the extra versatility that oscillation tools provide. An oscillation device works by making a rapid, short back-and-forth motion. At up to 21,000 oscillations per minute, this movement is so fast that most people won’t even see it. Designed with arbors, these tools allow you to attach various accessories, providing a limitless number of possible applications. The manufacturers of these models offer various attachments. Some of the most popular and useful accessories include flush cutting wood and metal blades that are perfect for cutting pipes or trimming door jambs prior to laying down a new floor, grout removal blades for grinding grout from between tiles, sanding attachments, and scraper blades that will chip away adhesives, flooring, and old paint. Sure, all of these tasks can be done with specific tools but using an oscillation device simply provides better efficiency and speed. Plus, by taking the place of countless other tools, it will help prevent unnecessary clutter in your workshop. Jigsaws are great. They’re versatile tools that are perfect for woodworking, cutting out countertops, and slicing metal. But if you’re only able to pick one of these tools, a high-quality tool is highly recommended. Not only will it allow you to make clean cuts in wood, but with the wide variety of attachments available, you can use them in a greater variety of projects. Whether you’re looking to cut, sand, chip, grind, or trim, these hand-held tools are simple to operate, provide impressive performance, and are far more versatile than any jigsaw. An oscillation device is one of the most useful power tools out there. Thanks to numerous interchangeable accessories, these dynamic tools are capable of taking on a wide variety of applications and materials. Here are just a few of the ways that these versatile machines can be used. 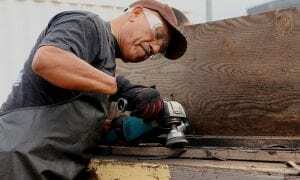 One of the most common uses of multi-tools is that of a sander. These tools can use sandpaper or sanding pads that are perfect for smoothing wood, finishes, and fillers. Plus, with pads that come in a variety of sizes, you’ll even be able to tackle edges and tight spaces. Usually, when you’re about to install a new floor, you’ll need to trim the bottom of your door casings and door jambs so the floor will fit. Simply lay a piece of new floor upside down (so you don’t damage its face) next to the casing and attach a flush-cutting blade to your OMT. Then simply cut through the casing and remove it. Your new floor will now fit underneath the casing and jamb perfectly. If you are looking at doing some work on your door frame, you’ll need a great framing nailer, like these finish nailers here. Multi-tools makes removing old, cracking paint or adhesives far easier than it would be with a hand-held manual scraper. Simply attach a scraper blade to the tool’s arbor and let the motor do all the hard work. Manufacturers offer special carbide-grit grout blades that can outperform almost any tool out there when it comes to grinding out old grout. With their rapid swaying movements, these blades quickly and easily remove stubborn grout from between floor and wall tiles. If you’re installing a new electrical box in your walls or simply need to make an opening, an OMT is perfect for getting drywall ready. Simply attach a metal or wood cutting blade and make a plunge cut straight into the drywall. You can easily make rectangular cuts that are perfect for electrical boxes this way while reducing dust and minimizing fatigue. If you’re taking on a kitchen or bath project and need to remove old caulk, put away the manual scraper and attach a metal scraping blade to your OMT. The motion of the blade will quickly and cleanly remove even the most stubborn caulk in seconds, making it one of the top options for this sort of project. Doing some plumbing work under a cabinet or behind a sink? These tools are perfect. With a compact design and the ability to cut at an angle, they can get into tight spots that many other tools simply can’t. And with the right metal cutting blade, you can easily cut through various pipe materials including copper, galvanized metal, and plastic. Our pick for the top choice of 2019 is the Rockwell RK515K 4.2 Amp Oscillating Multi-Tool. With reliable performance and durable construction, it’s simply one of the finest corded oscillation products on the market today. Providing reliable performance and durability, this hand-held corded power tool offers a fantastic 4.2 amp motor capable of an impressive no-load speed up to 35 lbs. This impressive cutting load means you won’t get bogged down and it won’t stall, even during the toughest applications. With a variable speed dial, this model lets you choose speeds between 10,000 to 19,000 OPM, making it perfect for tackling almost any material or application. What sets the RK5151K apart from the rest of the pack is that it’s the first tool of its class to offer the user two different oscillating angles. If you want fast, aggressive cuts, you can set the angle to 5 degrees. And for smoother operation with more control, you can adjust the angle to 3.4 degrees. This feature is great because it allows you to fine-tune the performance for just about any project, delivering the finest results possible. At 3.3 lbs, the RK5151K is lightweight enough for prolonged use but it was built to take a beating. And with the addition of its impressive Hyperlock tool-less blade change system, it delivers 1 ton of clamping force, ensuring that your attachment never shakes and is incredibly stable even when working on the most demanding of projects. Designed to be extremely versatile, this model was built with the Universal Fit System that allows it to accept accessories from any manufacturer, meaning that the uses you’ll find for it are virtually limitless. The Rockwell RK5151K is durable and easy to use. It delivers exceptional power and performance, capable of tackling any material or project. And with its quick-change feature and ability to accept any blade or accessory, it’s one of the most versatile and impressive oscillation tools you’ll find, and one of the top buys on the market today. The PORTER-CABLE PCE605K52 is our pick for the best premium OMT available on the market today. One of the most durable, well-built, and versatile models available, it was designed with the attention to detail and performance that we’ve come to expect from PORTER-CABLE. The PCE605K52 was built with a powerful 3 amp motor and includes a variable speed dial that allows you to choose the optimum operating speed for any given project. It offers a range between 10,000 to 20,000 OPM, making it perfect for use in any application you can think of. Heavy and durable, it weighs 7.8 lbs, adding stability to operation while still being manageable enough for prolonged use. This model also offers a tool-free change system that lets you speed up your work by allowing for quick accessory changes with minimal hassle. And with a 3-position overmold grip, you can hold it in various positions, allowing for greater control and mobility. And with a 10 ft power cord, it has offers great range, meaning that most projects won’t require the use of an extension cord. The PCE605K2 Oscillating Tool also offers a depth and cutting guide that helps you perform plunge cuts and other cutting tasks faster and with more precision. And if you don’t need the guide, it comes off in seconds. Plus, the kit comes packed with 52 accessories including 3 wood/metal blades, 3 flush cut blades, 1 sanding pad, 35 sanding papers, 2 flexible scrapers, 2 rigid scrapers, and 2 grout removal blades. With power, versatility, and a ton of accessories, this model is one of the finest premium oscillating products available on the market today. Our pick for the best value on the market today, the Genesis GMT15A can outperform many of its more expensive competitors. With a sticker price around $40, you’d expect an oscillating tool that skimps on performance or power. Luckily, Genesis has found a way to create an affordable corded oscillation tool that delivers exceptional results and durability. Constructed with a sturdy die-cast aluminum gear box, the GMT15A will hold up against years of heavy home repair and renovation use. While the 1.5 amp motor is a bit less powerful that some of its more expensive rivals, it offers more than enough power to tackle any application you’d think of using it on including cutting, sanding, grout removal, trimming, and scraping. With an operating speed of up to 21,000 OPM, this durable model offers performance that’s comparable to many higher priced models. And its 4-pin flange system is rugged and ensures that once a blade or other accessory is installed, it stays firmly locked in place, increasing precision and stability. Lightweight but offering a heavy-duty feel, the GMT15A also comes packed with a variety of accessories to get you started. Inside the kit, you’ll find a sanding pad, sand paper, a scraping blade, and 2 saw blades. With these attachments and the power this model provides, you’ll be able to immediately tackle any project, making it one of the most popular buys available today. We hope you enjoyed our article on "The 10 Best Oscillating Tools", if so, please share and rate it. Been looking at oscillating tools for a while as I have never used one before, but I am about to install new flooring down and need a tool to cut around door frames and when I saw the price on the Genesis GMT15A I thought ill give this product ago, and wow what a great oscillating tool made my job so easy and will help me with other DIY projects in the future.